Tina Armstrong joined the School of Psychology faculty in July 2015 as director of clinical training and PhD program director and assistant professor of clinical psychology. Previously she was on the faculty and coordinated the Multicultural Clinical Community Psychology emphasis area at the California School of Professional Psychology’s PhD Clinical Psychology program at Alliant International University in Alhambra, California. Armstrong founded and was the principal investigator of the Wellness and Resilience Research Lab, which conducts research that targets historically underrepresented ethnic populations from a strength-based theoretical model, in efforts to understand issues related to wellness and resilience. As a community psychologist, she has a strong commitment to bridge the gap between academia and historically underserved communities by facilitating the training and development of students. Armstrong holds that effective education does more than simply educate students—it also acts as a conduit that helps to create, sustain, and improve our communities. A licensed clinical psychologist, Armstrong is a member of the American Psychological Association, Association of Black Psychologists, and Sisters of the Academy. 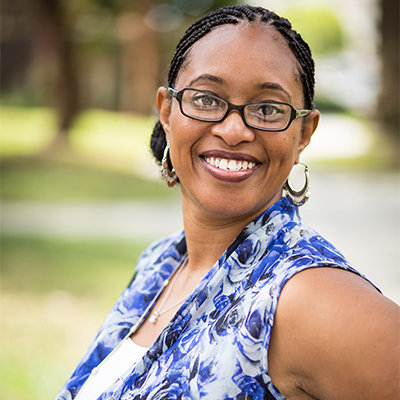 She sits on the executive board of the Southern California Association of Black Psychologists, and on the conference planning committee for the Institute on Violence, Abuse and Trauma (IVAT). She serves as an ad hoc reviewer for The Journal of Child and Adolescent Trauma and The Journal of Aggression, Maltreatment, and Trauma.